The DFW Metroplex is located in the part of Texas known as "Tornado Alley." Severe weather can occur anytime but the spring and summer months are when thunderstorms can fire up in a heartbeat. The best advice is to conduct tornado drills at home just like the schools do routinely. Be prepared. Be safe. Tornado Alley is a term used by meteorologists and media members referring to the part of the United States where tornadoes occur more frequently. More tornadoes are reported in Texas than any other state. The majority of the state is included in Tornado Alley, from the south/central Texas up through the Panhandle, the North Texas Metroplex, up into Oklahoma, Kansas, Nebraska, and Colorado. 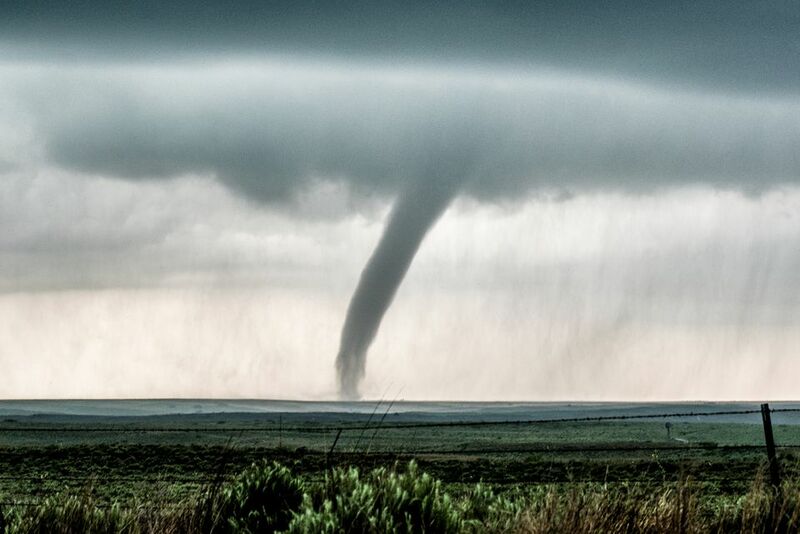 Kansas and Oklahoma report the second and third largest numbers of tornadoes in the United States. A Tornado Watch means that conditions are favorable for a tornado to develop. It's intended to alert people in a particular area to pay attention to the weather. A Tornado Warning means that storm spotters have seen a tornado or that Doppler radar has reported some circular rotation indicating that the storm may spawn a tornado. You should take safety precautions when a warning is given on TV, radio or if you hear warning sirens. The National Weather Service's Storm Prediction Center issues watches and warnings. It's a good idea to have a safety plan in place and conduct tornado drills in your home, school or workplace. If a Tornado Warning is given, seek shelter immediately. At home: If you don't have a basement or storm room, take shelter in an interior room or closet. Stay away from windows. Take a mattress, blankets or pillows to protect your head. Do not open any windows. In a trailer house/mobile home: Leave immediately. Mobile homes are dangerous even if they are tied down. Some parks have a designated area. If not, take shelter in a low-lying area if possible away from your home and trees. Lie down and protect your head. At school: Follow tornado drills that your school practices. Don't panic. Try to remain calm. Outside: Try to find shelter in a building or lie down face down on the ground covering your head. In a car: Cars are dangerous during tornadoes. Leave the car and find a low-lying area. Avoid seeking shelter under bridges as they are very dangerous. Keep your family together and wait for emergency personnel to arrive. Render aid to anyone that's injured. Be sure to stay away from power lines, puddles with wires in them. Watch your step. Avoid broken glass, sharp objects, nails. Do not use matches or lighters in case natural gas is leaking. *Safety Tips are from the Storm Prediction Center in Norman, Oklahoma. If you find yourself in a tornado, follow this list of things you should not do. Don't chase tornadoes in your car. Leave that to the professional storm chasers. Don't open windows. If you heard you were supposed to open them, that's no longer the recommended safety protocol. Don't remain inside a mobile home. Don't seek shelter in a highway underpass or bridge. They aren't safe. Make sure you know what county you live in. For example, parts of Frisco are in Denton County and parts of Frisco are in Collin County. Be sure you know what to do if your county is listed in a Tornado Watch or Warning. Have a plan. Conduct tornado drills in your home with your family. If you have a safe room/area, store a few bottles of water or snacks like a box of raisins or crackers in the case of an emergency. Keep a flashlight handy; check the batteries periodically. Purchase a storm/severe weather radio with fresh batteries and keep in your safe area. Download weather apps for your iPhone, iPad or Android at www.wfaa.com. This app will put local radar, temperatures, current conditions and the forecast at your fingertip.